Two exhibitions by "MHAK as Masashiro Akutagawa" who mainly paints interior murals will be held for the first time in a decade in Aoyama and Harajuku from Sept. 12th - Oct. 3rd. MHAK's works are covered with his significant puffy patterns and are created under the theme of "coexist with the space". At AOYAMA ART BREEZE (Aoyama) exhibition titled "I am", consists of art works on canvases and mural works including a rainbow rail commissioned by Ishiuchi Maruyama Ski resort for the season of 2014-15. 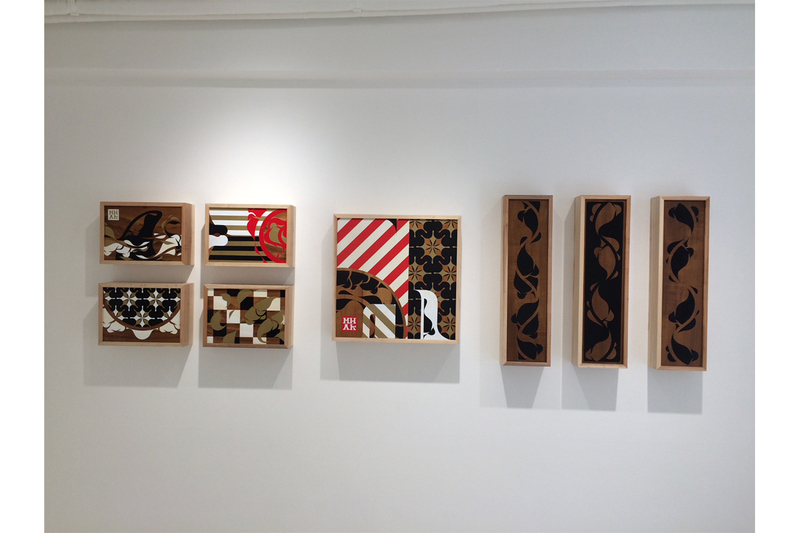 At GALLERY TARGET (Harajuku) exhibition titled "Interdeco 2", consists of art works on wooden panels inspired by interior designs, surfing, skating and snowboarding. Limited goods such as his CDs, are scheduled to be sold at the gallery. Raised in Aizuwakamatsu, one of a famous historical town in Japan. A member of an artistic crew "81 BASTARDS". 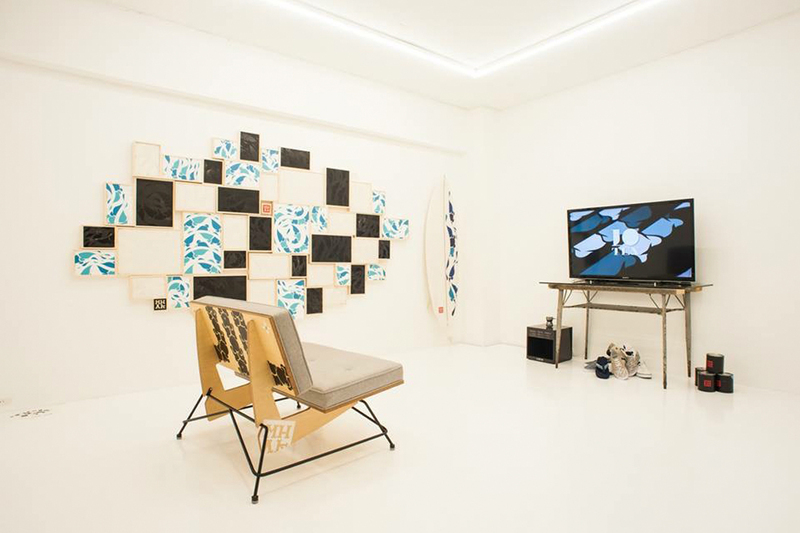 MHAK received much influence from well designed and sophisticated furniture, interior and spatial art. He started to see paintings to be a part of an interior and began creating works under the theme of "coexist with the space". As a result, unique pattern constructed with variety of complex curved lines became MHAK's signature. His luscious patters received much recognition as well as commissions from both individual and public organizations. 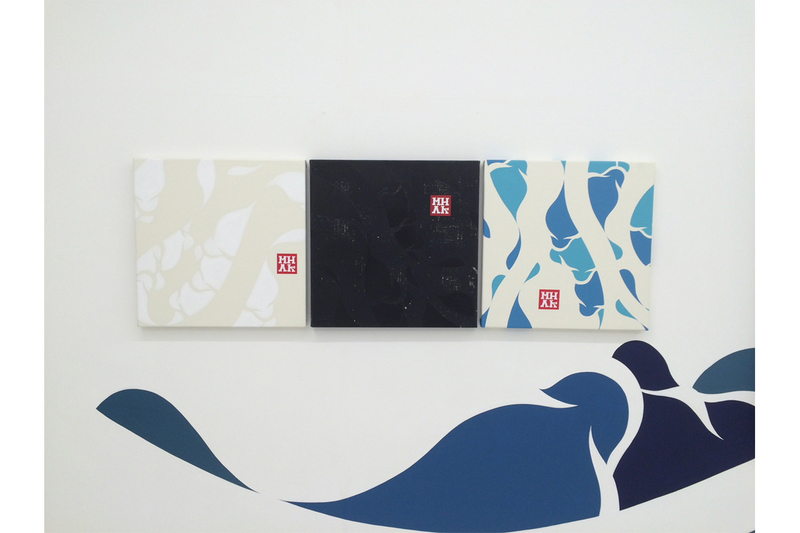 For the past decade, MHAK mainly showed his works oversea. Cities such as New York, Los Angels, Portland, Buenos Aires, Melbourne, Sydney and Milan. In recent years, MHAK had been creating art works enthusiastically for revitalization projects of his hometown, Aizuwakamatsu.